← Au Revoir, Toy Run Podcast! I am in the process of building a Mimban Lieutenant costume, and am therefore in a dedicated mudtrooper builders group on Facebook. One of the members recently finished their costume and was approved by the 501st. As a final touch for his build, he commissioned a custom cardback through Karbonite Kustoms using himself as the image. Not only would it be awesome to have a Kenner card of myself, it’s basically the coolest trooper around. When I saw this I was stunned. Hasbro, please. 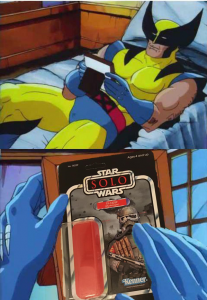 Give us this figure ASAP! Special thanks to Ricky R. and Karbonite Kustoms for sharing the images! 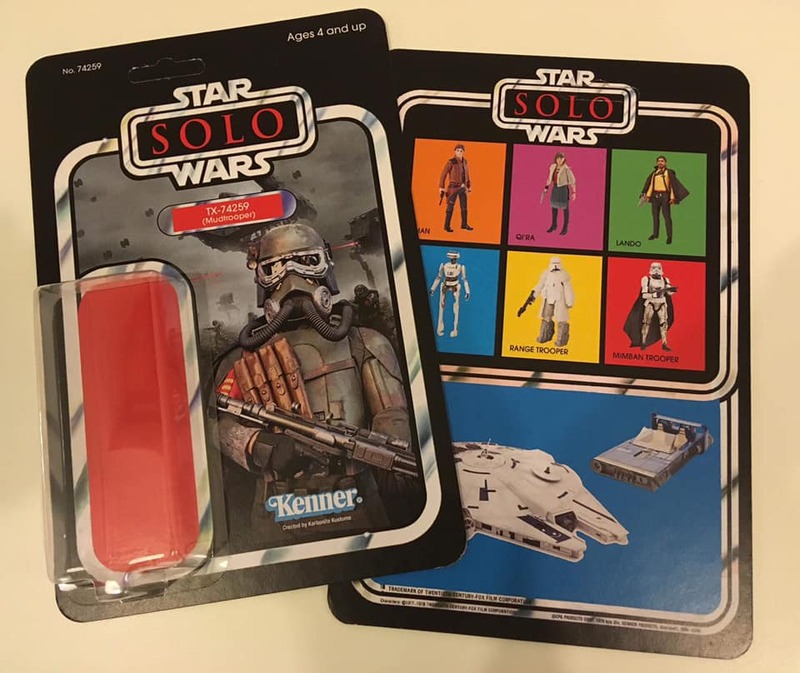 Check out our 112-image gallery of the STUNNING TARGET exclusive Stormtrooper (Squad Leader)/Mudtrooper/Imperial Patrol Trooper/Han Solo (Mimban)/Stormtrooper (Mimban)/TIE Fighter Pilot 6-pack which Hasbro based on Solo: A Star Wars Story. A set like this should serve as a template to how 5POA should be approached. The only thing disappointing is that all of these beautiful figures aren’t super-articulated, although some of you may not care about this detail. 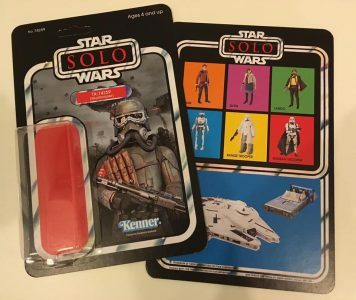 Hasbro loaded the set with newness and smart repacks. The set officially goes on sale today, so make sure you check out our thoughts before buying yours. It’s all in our Research Droids Reviews today! Be sure to leave your thoughts in our comments section, vote in the poll or even comment about it on our Facebook page. Click the banner below for the direct link to the review! As always, you can also send your review requests via email if you’d like to see something that we didn’t cover yet. ← The Vintage Collection: Are Case Assortments Improving? 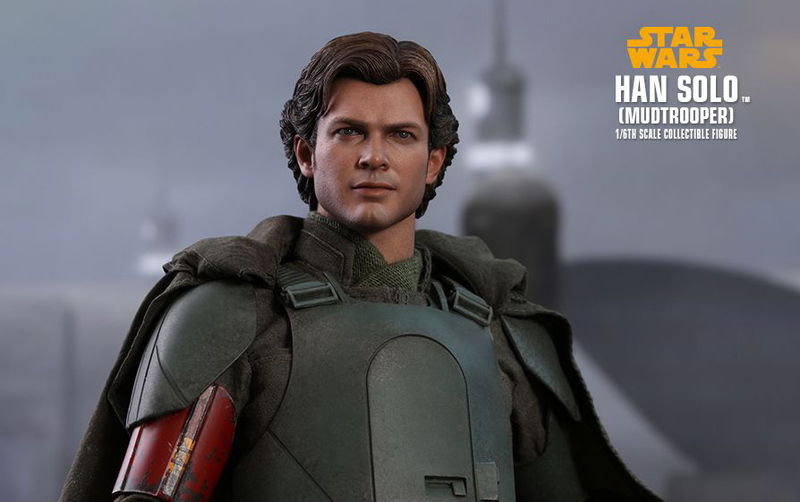 Hot Toys Reveals Han Solo (Mudtrooper) Figure! Hot Toys revealed their new Han Solo (Mudtrooper) figure today. Click through for a closer look at the figure!